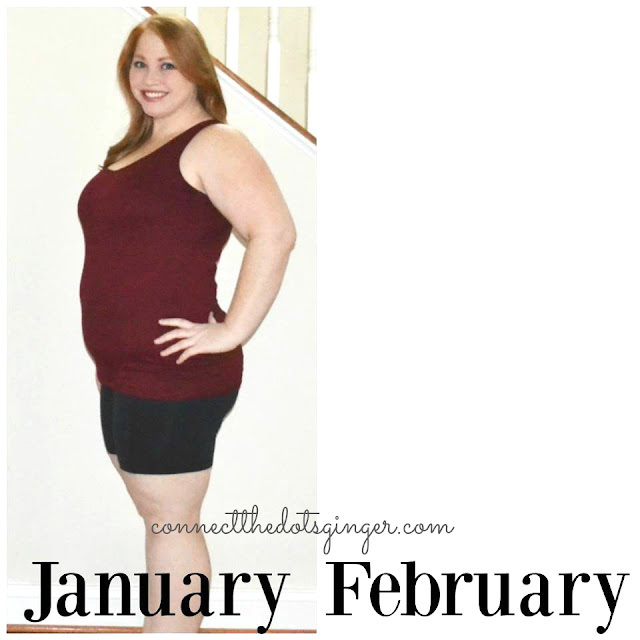 Are you new to starting the 21 Day Fix this month? Or maybe you have access to it with the new Beachbody On Demand All Access Annual Pass online streaming service. 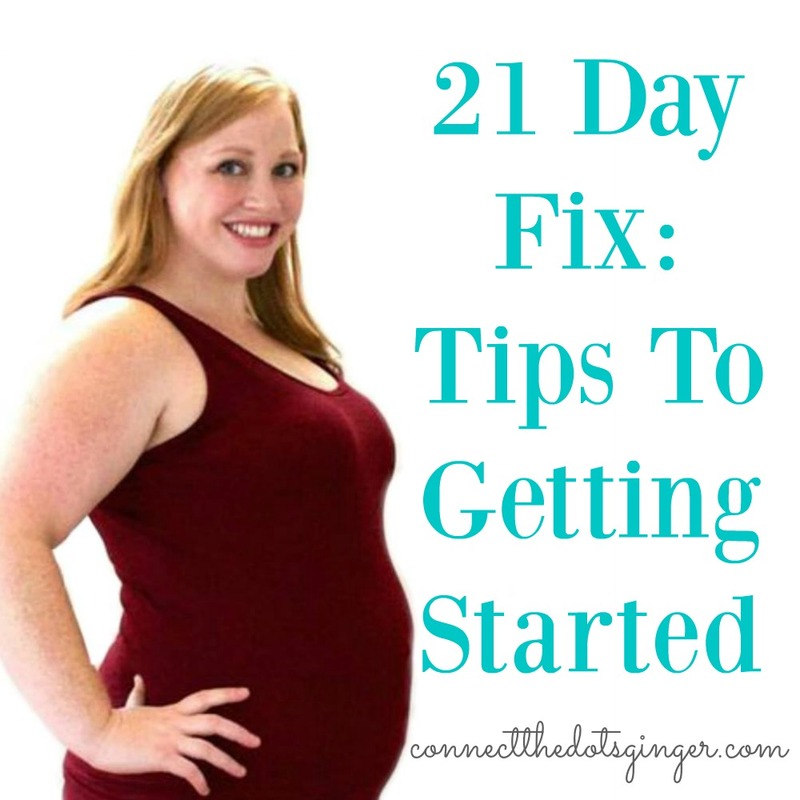 From this 21 Day Fix Grad, there are a few things to know to getting started with the 21 Day Fix to make sure you are getting your best results possible! 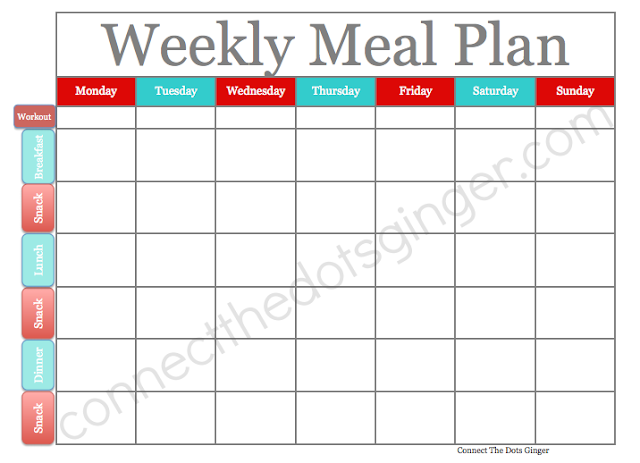 Make sure you bookmark or pin this post so that you can easily refer back to it during your next 21 Days! 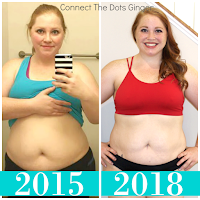 To get started, first check out this video by the creator of 21 Day Fix- Autumn Calabrese for 7 simple tips to losing weight! Ok...so WHAT DO YOU NEED TO GET STARTED? 1) WEIGHTS- You will need to get a set or 2 of hand weights or resistance bands. A light set and a heavy set. For hand weights a 3 and a 5 pound pair or a 5 and an 8 pound set are good starting points (Target has some!). Resistance bands you will want to get can be found here! It is a light, medium and heavy resistance. 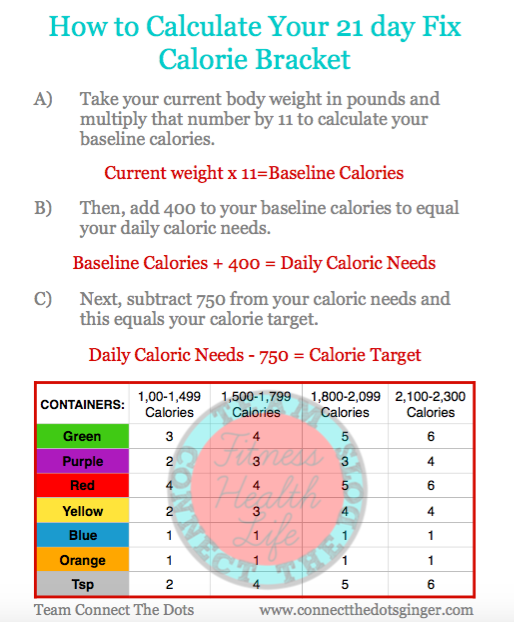 2) TAKE YOUR MEASUREMENTS- You can download a measurement chart from the Beachbody On Demand 21 Day Fix workout page in the Getting Started section or just email yourself your measurements. Just keep track because that is where you going to see results first! 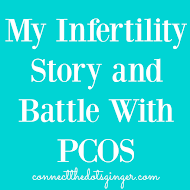 3) TAKE YOUR BEFORE PICTURES- Everyone hates doing these, and you do not have to show anyone but TAKE THESE PICTURES! You will be glad you did because you will actually SEE your results and see the changes that the scale might not reflect. 4) LEARN WHAT YOU CAN EAT- Get familiar with the 21 Day Fix Approved Foods list- These are foods you want to be eating all the time anyways because they are healthy whole foods. 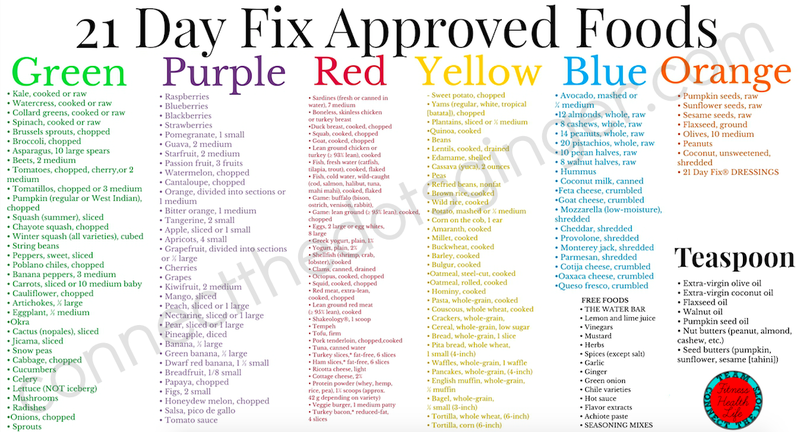 But PIN this picture so you can refer back to it often and see what foods are ok to eat! 5) PLAN YOUR MEALS- Figure out your calorie bracket and Start planning your weekly meals on a calendar! 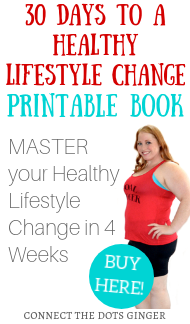 If you are part of my health and fitness FREE group you can print off a PDF copy in the group! Contact your Team Beachbody Coach and find out if they have a Challenge Group you can join. Accountability and support from others who are also doing workout programs just like you is a huge key to success. IF YOU DON'T ALREADY HAVE A COACH and would like to WORK WITH ME, please EMAIL ME OR MESSAGE ME ON FACEBOOK! Hopefully these tips help you get started with your success in reaching your goals. Remember DREAM big because if you are dedicated and committed to reaching your goals, you will soar past them!